This little gadget is a simple memory-stick that plugs into a PC's USB port and automatically connects to it's easy to use software program. The software provides editable forms for all your record keeping. Enter as little or as much medical information as you want. Make changes, add new information, keep your physician's name & contact info, any history you wish to enter. When I first saw the Care Memory Band Medical Alert Bracelet I thought it was a great idea, and I immediately envisioned a bed-ridden patient in a nursing home wearing the bracelet. Staff would have the software installed on a PC and the staff would maintain resident information on the bracelets. On my second review of the product I realized that this is not just for sick people or nursing homes, it's great for anyone with any kind of medical history. Wear it when taking a trip, going out shopping for the day, taking a long drive, or any occasion where you feel more comfortable having it with you should anything happen. PC must have a CD drive and USB port. PHC-Online offers Medicare assigned billing for Power Wheelchairs and Scooters in selected areas of the United States. These are locations where we have a representative available to deliver, setup and train the recipient on the operation of their new Scooter or Power Wheelchair. This service requires little to no out-of-pocket money from the applicant depending on whether the patient has secondary insurance. Visit our Medicare Power Wheelchair and Scooter page for specific patient requirements and which areas we serve. Several calls this morning: Why do I need a doctor's prescription for a nebulizer? Almost everyone looking to purchase a nebulizer asks this question. The answer is simple: because it's the law. 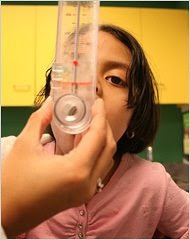 Nebulizers are regulated by the FDA just like the prescription medication you use in it. Sometimes it's hard to be opened minded about why things are the way they are. The clinical answer is because we wouldn't want you to do damage to your lungs with improper usage. The real-world answer is because drug addicts find the nebulizer as a sure-fire way to get their illicit drugs down deep into their lungs. 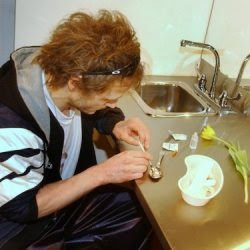 With the use of a Nebulizer, the abuser's drug of choice, whether it be cocaine, amphetamines (meth), barbiturates or speed is turned into a fine mist spray and forced deep down into the lungs for their ultimate high.